I think Cameron has got it wrong with his Cabinet Reshuffle. This is in two areas, one general, the other specific. I think trumpeting the ascendancy of women to senior positions in government sends all of the wrong signals. Many will assume they are there for their looks, dress sense or gender and not for their skills. Much better to have gone about a re-shuffle that promotes the best and brightest and leaves people to draw their own conclusions. As it is, people will assume Esther McVey is there for her dress style and Liz Truss for her youth if not her surname! Worse though, in my view, is the sacking of Michael Gove. If there is a single institution that has failed our country for half a century, it has to be state education. Our state schools continue to turn out children who cannot read, write or speak confidently or correctly. After 12 years of state education, the system has failed to inculcate the three Rs such that many employers find them unemployable and those that go on to university have to be re-trained in their first year in the three Rs. This is a complete disgrace and is why this country has fallen so low in education league tables. Someone with whom I work said she thought the biggest single problem in schools was those children whose parents had neither enthusiasm for education nor an understanding that education alone would give their offspring a happy and successful future. While education is apparently “free” there are too many parents who will fail to understand its value. State schools employ teachers who are mostly unionised, who regard their own terms and conditions as more important than the future of their pupils and who are largely imbued with left-of-centre views about levelling opportunities down and equalities at any price. Michael Gove had clearly thought about these issues long and hard and instituted a programme of reform for state education that went some way to addressing the third of these problems. I suspect he would have wished to address the first and second ones more if he could but we have a tradition in this country that values so-called “free” state provision without recognising the reality that someone is paying for an inferior product and too many users fail to value a service that appears to be “free”. I have always believed that education is far too important to trust to the state and that it should be funded by the public purse but provided by a wide range of organisations that have no direct connections or affiliation with the public sector. This has led me to favour a voucher system, giving parents an entitlement to spend a specific sum per annum on each child’s education in a school of their choice, whether the local comprehensive or Eton or Harrow. 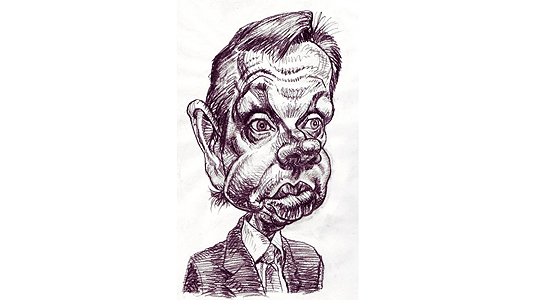 I suspect Michael Gove was too shrewd a politician to believe that a voucher system would have been acceptable to much of the public and also, I am sorry to say, to a lot of members of the Conservative Party so he settled for a half-way house that might have led to a voucher system in time. These were academies (borrowed from Labour – ho-ho!) and Free Schools and they were working. This was no reason to sack him and move him to be Chief Whip. I suspect Theresa May has something to answer for here? A lesson, perhaps, about choosing your arguments carefully! I hope his successor, Nicky Morgan, has the balls to continue the Gove reforms and to tell Mrs Blower (Chief Executive of the National Union of Teachers) that the reforms go ahead; that professionals do not strike; and that many of our children have been badly let down by the teaching establishment for far too long. I hope but I am not holding my breath. I am afraid our Prime Minister has a sniff of appeasement about him. Margaret Thatcher never gave in to Scargill. Blower is the new Scargill and the antics of her union are threatening the nation’s children.